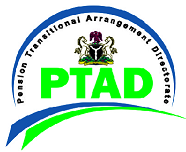 Its mandate as defined in Section 45 of the PRA 2014 is to carry out the functions of the relevant pension boards or offices in the Public Service of the Federation and to amongst others make budgetary estimates for the existing pensioners and the officers exempted from the Contributory Pension Scheme under Section 5 of PRA 2014. (6) Certificate of Compliance with Industrial Training Fund (ITF). (7) Evidence of registration with Financial Reporting Council of Nigeria (FRC). (8) Certificate of Compliance with NSITF. (9) Certified true copy of particulars of Directors. (10) Certified true copy of three (3) years (2012, 2013 & 2014) Company Annual Returns submitted to Corporate Affairs Commission. (11) A sworn declaration that the firm and/or consortium nor any of its management staff has any relationship with the department and its own management staff. In the event that such relationship exists, it should be clearly indicated in the affidavit. (12) A sworn declaration that the firm and/or consortium do not have any Director who has been convicted in any country for any criminal offence relating to fraud or financial impropriety or criminal misrepresentation or falsification of facts relating to any matter. (13) A sworn declaration to confirm that all information presented in its bid are true and correct in all particulars. (14) Evidence of registration on the National Database of Contractors, Consultants and Service Providers by inclusion of Interim Registration Report issued by BPP. (1) Evidence of financial capability from a reputable bank. (2) 3 years (unabridged) Company Audited Annual report for 2012, 2014 and duly stamped by a registered auditor (Note that account statements will be compared with submitted tax clearance certificate). (3) Company profile indicating history organisation structure, area of specialization, competencies and resources. (4) Full details of management team with CV of key Personnel and professional staff. (6) Summary list (with short description) supported with verifiable documentary evidence of similar and other jobs successfully executed within the last three years in Nigeria. Such evidence shall be in the form of valid and verifiable letters of contract award, contract agreement and completion certificate. (7) Company registered address, functional contact email address, GSM phone numbers) and facsimile number(s). (Note that all address details provided will be validated). (a) This invitation is open only to reputable firms with clearly verifiable technical and management capacity for the implementation of the respective assignments. (b) Previous experience in the delivery of similar verification assignments will be an added advantage. (c) Only firms who meet the above listed mandatory and other requirements should bother to submit EOI for implementation of the assignments. (d) PTAD reserves the right to verify the authenticity of any claims made in the proposal documents submitted by the firms, at any stage of the procurement exercise. (e) Failure to comply with the instructions and provide any required document(s) may automatically result in disqualification. (f) Submission of false documents is an offense and will lead to disqualification and prosecution. EOI responses must be submitted in one (1) original and two (2) copies in a sealed envelope clearly marked to indicate the respective assignment at the top right corner and addressed to the Directorate’s office indicated below and to be received not later than 03:00 p.m. on Friday, 28th August, 2015. It is mandatory to also include a CD-ROM version of the EOI submission. Please note that EOI sent after the deadline or by email and/or fax will not be entertained. Public Display Exercise on the Environmental Impact Assessment (EIA) of the Proposed 1.100 (2 X 550) MW Open Cycle Gas Turbine Power Plant, at Omotoso Industrial Park, Okitipupa LGA, Ondo State by Kingline Development Limited.